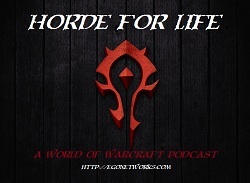 This entry was posted on June 17, 2012 at 7:39 pm and is filed under HFL, MMO, Podcast, Role Playing, Star Wars, The Old Republic, World of Warcraft with tags Blizzard, Games, MMO, Podcast, PVP, Raiding, Role Playing, RPG, Star Wars, Warcraft Cataclysm Raids, World of Warcraft. You can follow any responses to this entry through the RSS 2.0 feed. You can leave a response, or trackback from your own site. Hey guys, just wanted to drop a quick note here to say how much I enjoy your podcast. Well, that and to argue with you a bit about some comments in Ep. 53- only in a friendly, well-intentioned way, of course. First, regarding guild rep gains coming faster: While I am totally in favor of this happening – especially now that I have alts coming up – I think Rich is totally off in saying that gettign exalte dlocks you in to your guild. If anything, this change will make it easier to LEAVE a guild, knowing that you can quickly get all your perks back in a matter of a few hours of dailies…. Second, you guys were making a big deal out of the fact that with no “end boss” to this expansion Blizzard could do whatever it wanted regarding content. I think you forget that Garosh Hellscream is slated to be the “big bad” of Mists. So with that, players Do have expectations and Blizz DOES have something of a path laid out before them. Of course it’s not at the level of an Illidan or Arthas so they have MORE flexibility than usual but it still bears mentioning.